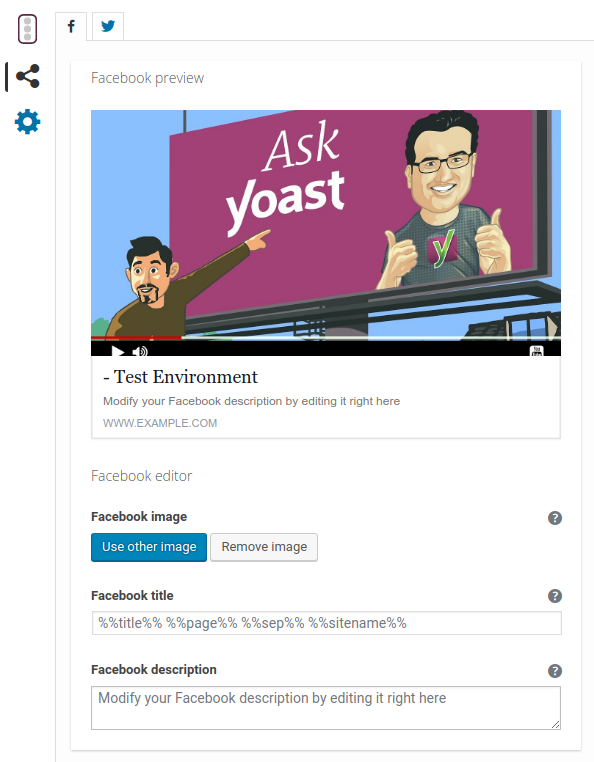 Yoast SEO includes the option to set custom Facebook images, titles and descriptions on a page by page basis. WordPress has two options for your homepage: Your latest posts or static. Setting custom Open Graph tags will depend on which option you selected. The ‘Settings’ menu will expand providing you additional options. Click on ‘Reading’. The first option is ‘Your homepage displays’. 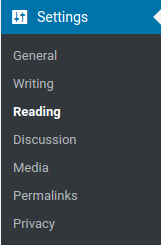 If ‘Your latest posts’ is selected, follow the steps here. If ‘A static page’ is selected, follow the steps here. The ‘SEO’ settings will expand providing you additional options. 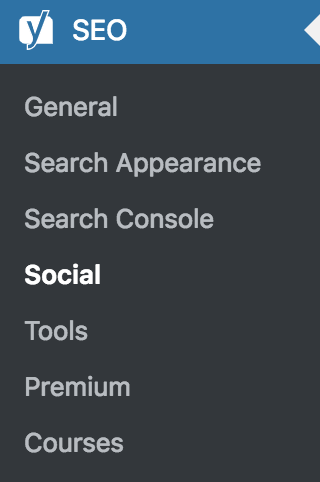 Click on ‘Social’. Click on the Facebook tab. Enter a custom image, title and description under Frontpage settings. 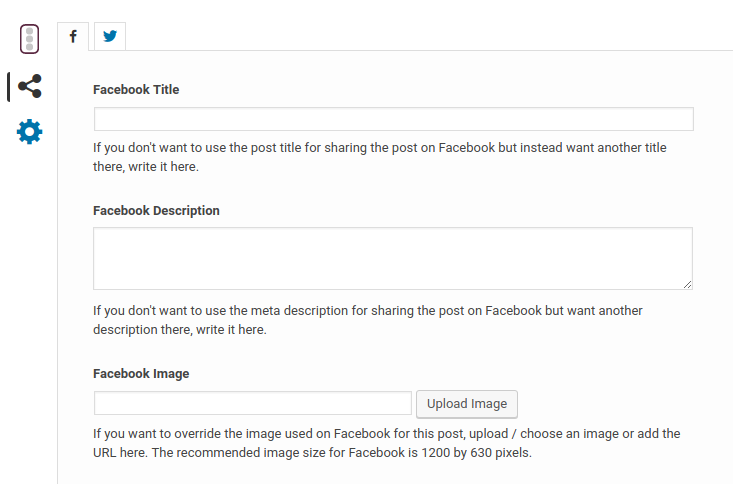 The social tab of the meta box allows you to set a custom image, title and description on each post, page (including the static front and blog pages) or taxonomy. One of the Yoast SEO for WordPress Premium features is the ability to see what your post will look like when sharing on Facebook. There are a number of filters documented in the plugin code for developers to programatically change OpenGraph output. Here are some examples.